We are currently seeking candidates with 3+ years of experience for a Senior Tax Accountant Job with a dynamic client in Portland, Oregon. This role is open due to growth. Do you have a background in Tax from public accounting and are looking to make the switch to industry? 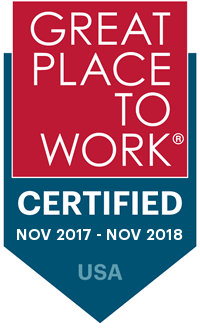 Are you looking to transition to a tight knit, family oriented, and stable Portland based company offering great benefits and work life balance? Our client might have the perfect Senior Tax Accountant job for you. We're targeting a base salary around $80,000 but flexible depending on the experience. Responsible for the development of monthly, quarterly, annual financial statements, reconciles financial reports, schedules, and records, and provides feedback regarding the accounting of reserves, revenues, assets, liabilities, and expenditures. Prepares tax forecasting and provisions tax planning for Federal and State corporate tax returns. Prepare amended returns and refund claims. Assist with the maintenance of tax schedules. Lead and handle all tax accounting assignments. Act as business liaison on all relevant tax topics. Serve as on-site contact for external accounting firms.